With the tallying of absentee and provisional ballots now complete, we would like to extend our heartfelt gratitude to the voters for electing us to be part of Town Council for the next four years. Both of us are humbled and honored by the confidence placed in our vision for Moorestown’s future, and we pledge to work hard every single day to serve this community with the energy, passion, and commitment it deserves. From the bottom of our hearts, we thank the people of Moorestown for giving us the opportunity to serve the town we love, and we are keenly aware of the great responsibility we now face to deliver results. We are thankful beyond words to our families, and know that our success would never have been possible without their willingness to stand behind us with unconditional love and unyielding support over the last nine months. As we thank our families, we must also extend a huge “thank you” out to our energetic, determined team of campaign volunteers who made thousands of phone calls, knocked on thousands of doors, helped with campaign mailings, hosted events, and gave their time and labor to help us succeed. Each and every one of you gave us the drive to keep going through the highs and lows of this campaign, and for that, we are eternally grateful. We would like to take a moment to recognize and thank our dear friend and running mate, Phil Garwood, who has dedicated countless hours spanning decades in service to Moorestown as Mayor, Deputy Mayor, Councilman, community leader, and volunteer. 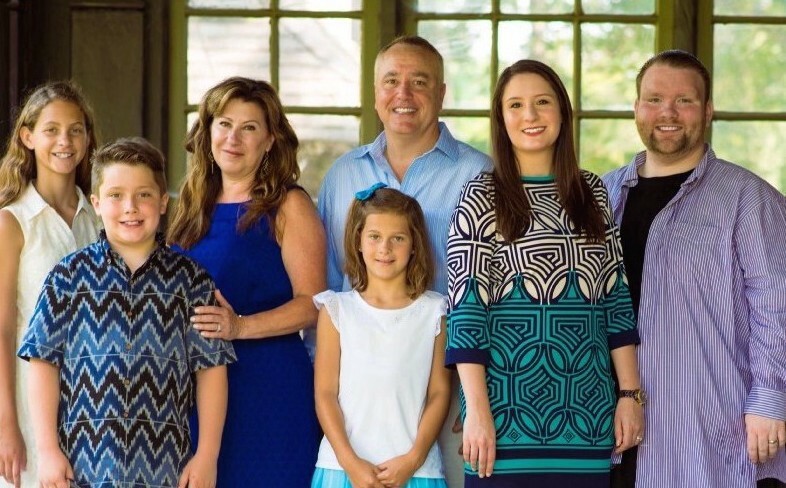 We thank his wonderful wife, Laura, and his daughters for their willingness to join Phil on this journey, and while the results were not what we had hoped, we are sure that Phil and his family will continue contributing and serving our town in many ways for years to come. We congratulate Councilwoman Lisa Petriello on her successful run, and we look forward to serving with her and with Councilwoman Stacey Jordan and Councilman Manny Delgado come January. With the election behind us, our town must now come together so we can continue moving forward on a path of fiscal responsibility, good government, and a respect for our community’s heritage as we build a better tomorrow. During the next four years, we will ensure that Town Council Chambers will be a place for intelligent discourse, the exchange of ideas, and getting things done for the incredible people of this community. Our time is now, Moorestown — let’s get to work.